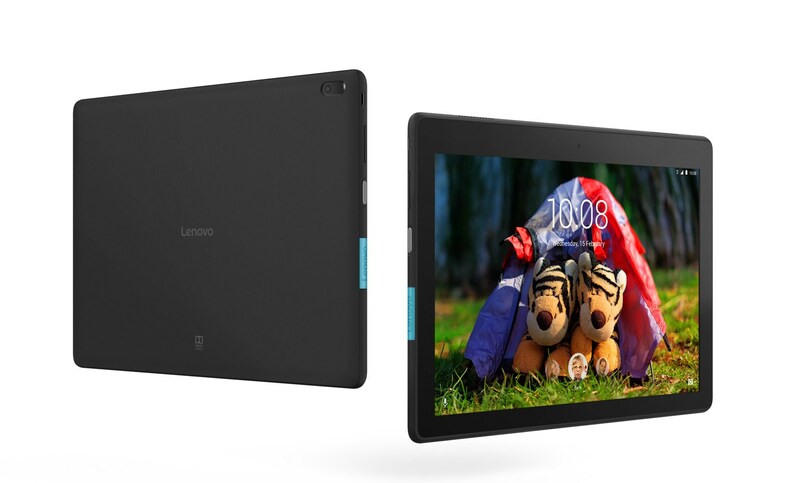 The Lenovo Tab E10 is a 10.1-inch entry-level tablet with prices starting at around 120 US Dollars. It features an HD resolution, a Qualcomm Snapdragon 210 processor, and Android Oreo Go Edition. Read on to get to know all the important details about the Lenovo Tab E10. Because of its affordable pricing, the Lenovo Tab E10 has a plastic body. It is mostly black, 8.9mm thin and weighs 530g. On its side, you’ll find a micro USB port, a standard headphone jack, and a microSD card slot. There are two cameras with a resolution of 5 and 2 megapixels. The 10.1-inch screen has an HD resolution with 1280 x 800 pixels. While it is a normal touchscreen, it does not support an active stylus. Let’s get to its internals. Inside the Lenovo Tab E10, you’ll find a Qualcomm Snapdragon 210 SoC. That is a quad-core chip with four cores clocked at up to 1.1GHz. Lenovo is offering several versions. You can choose between 1GB and 2GB of RAM. And the internal storage can have a capacity of up to 16GB. Other features include WiFi a/b/g/n and Bluetooth 4.0. It has a 4850mAh battery that is said to last up to 7 hours. Lenovo is shipping this tablet with Android 8.0 Oreo Go. That means it should run smoother on tablets with lower-end specifications. Like this one. Lenovo announced the Tab E10 in summer 2018. However, it didn’t start to be slowly available until the end of 2018 and the beginning of 2019. It should be available worldwide. Prices start at around 120 US Dollars but vary by country. A very interesting alternative to the Lenovo Tab E10 is the Amazon Fire HD 10. While it costs a bit more, it offers a higher-resolution screen and a faster processor. Just keep in mind that you’ll have to live with Amazon’s version of Android. Another better alternative is the Lenovo Tab M10. Again, it is more expensive but features a better processor and a better screen. The Lenovo Tab E10 is one of the cheapest 10-inch tablets available. Considering its price, we get a usable display and performance. Other aspects like its camera and battery life are very weak. However, almost vanilla Android Go is nice. I can recommend it if you can get it as a deal, otherwise some of its competitors are a better choice - in my opinion at least.